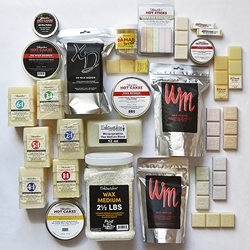 We offer all sizes of encaustic wax medium from Enkaustikos and R&F handmade paints. We stock for immediate shipment wax medium in wax pellets, Hot Sticks, Wax Snaps, and Hot Cakes. We also stock XD Wax medium in all sizes.